With a bigger stand than ever before, we look forward to seeing you to A06:11 in the A-hall of the Stockholm Furniture Fair. Meet the team and learn more about our new products. 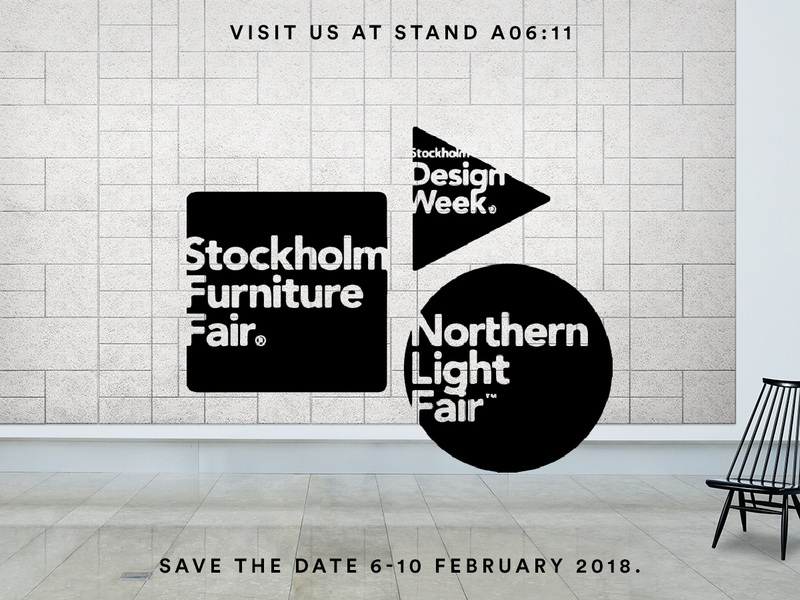 Below is a list of events not to miss during Stockholm design week and Stockholm Furniture Fair between 6-10 February 2018! Visit our stand A06:11 at 17:00 until 18:00 and relax with some oysters, champagne and music. Come and celebrate with us! Join us in the evening at the old architectural school for the ‘Prototypa’ – Workshop.